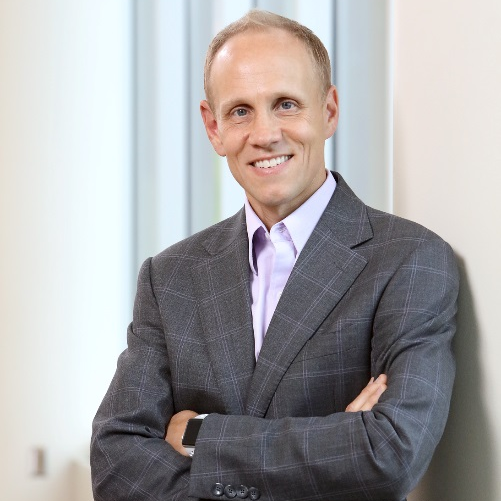 Eric Hammes is 3M’s senior vice president of business transformation and information technology. Combined with the 3M science of change, he and his team work to enable a premier experience for every 3M customer. The team continuously strives to create a more agile 3M while equipping the employee base with data insights and analytics, resulting in higher performance levels. Eric joined 3M in 1997. The majority of his career has been spent as a financial leader, including as an auditor, analyst and, most recently, 3M’s corporate controller and chief accounting officer. He has worked with and partnered across many of 3M’s businesses – from Health Care to Electronics and Energy – as well as multiple geographies, such as the United States, West Europe and Asia Pacific. Helping to maximize 3M’s shareholder value has always been at the core of Eric’s responsibilities as a financial leader. “I am extremely thankful for the company and leaders I work for at 3M,” Eric says. “I feel blessed as part of this family, giving everything I have to leave 3M in a better place, every day.” In his spare time, Eric dedicates himself to being a loving husband and father, and growing his family. He enjoys pushing himself mentally and physically in a broad range of athletics. Running is his personal passion.